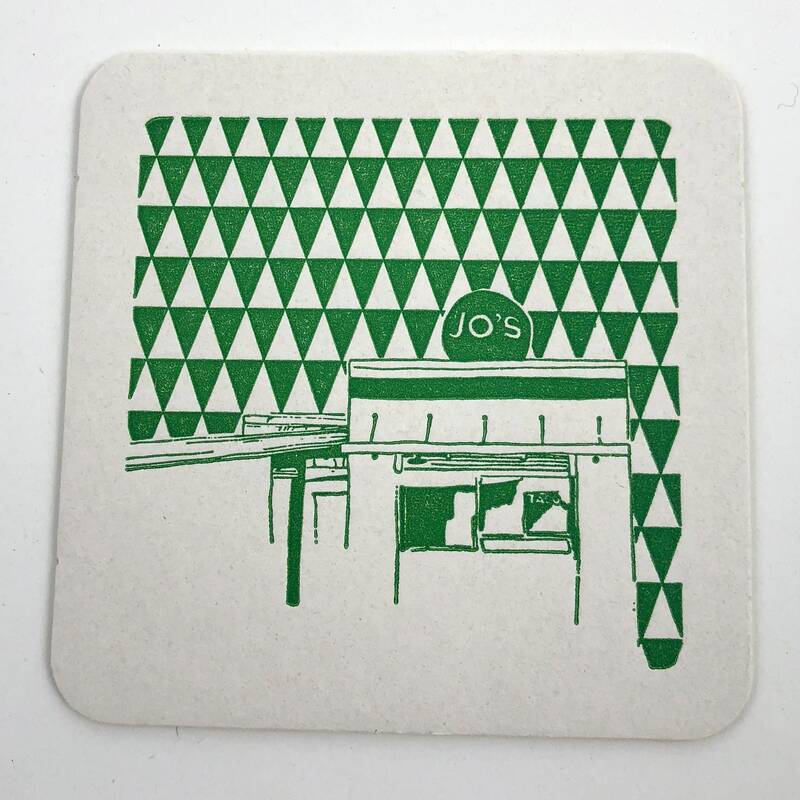 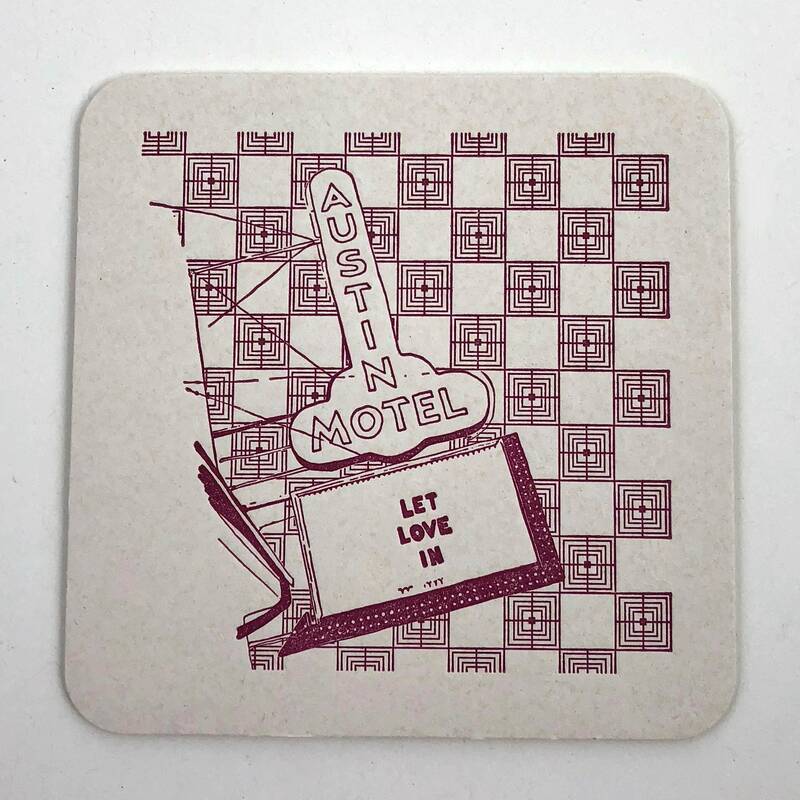 Package of 5 letterpress printed Austin coasters. 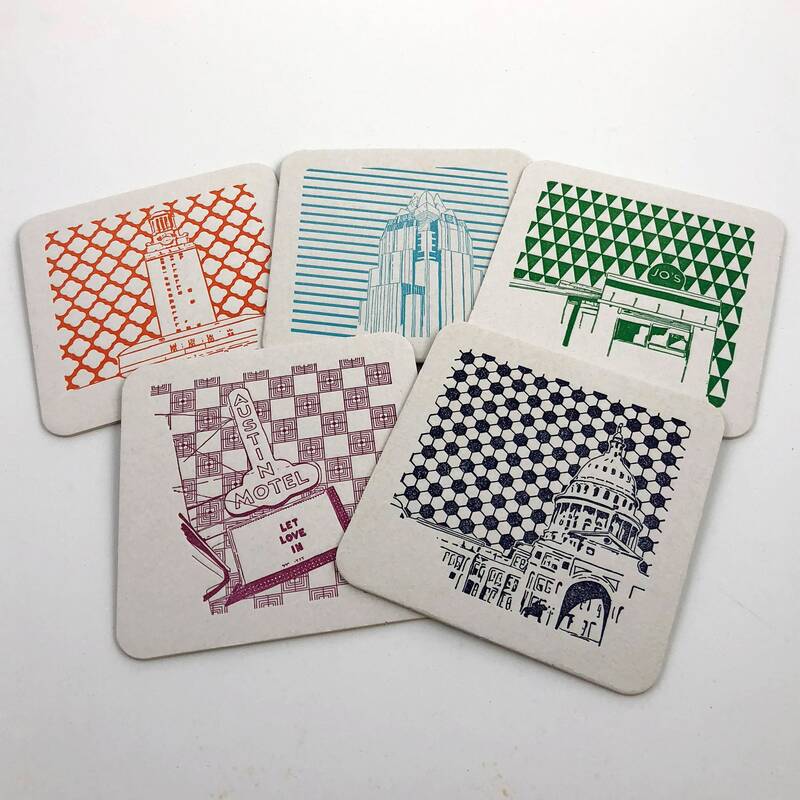 You will receive one of each design in one box! 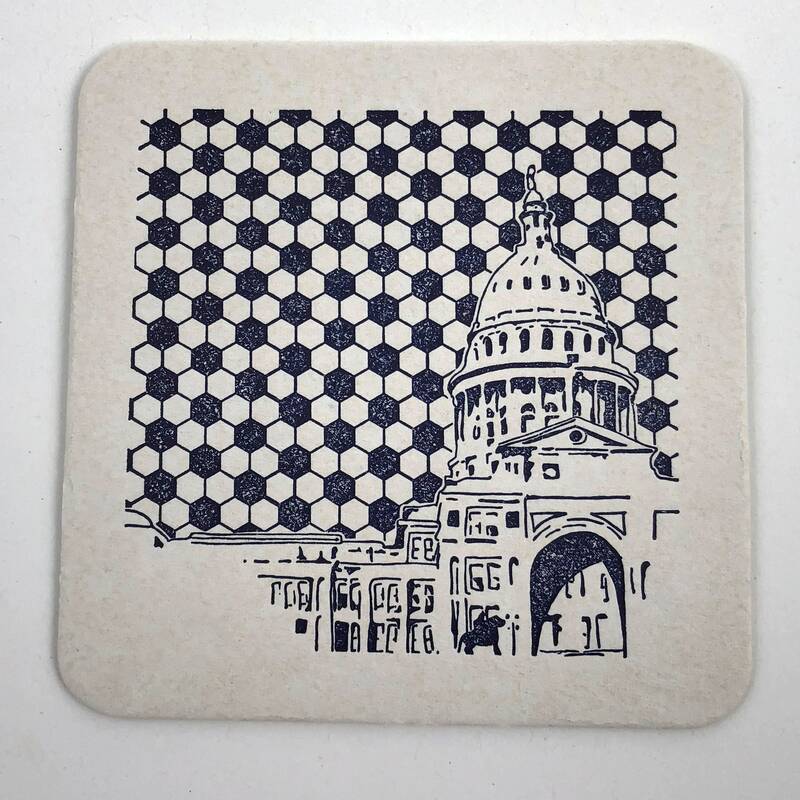 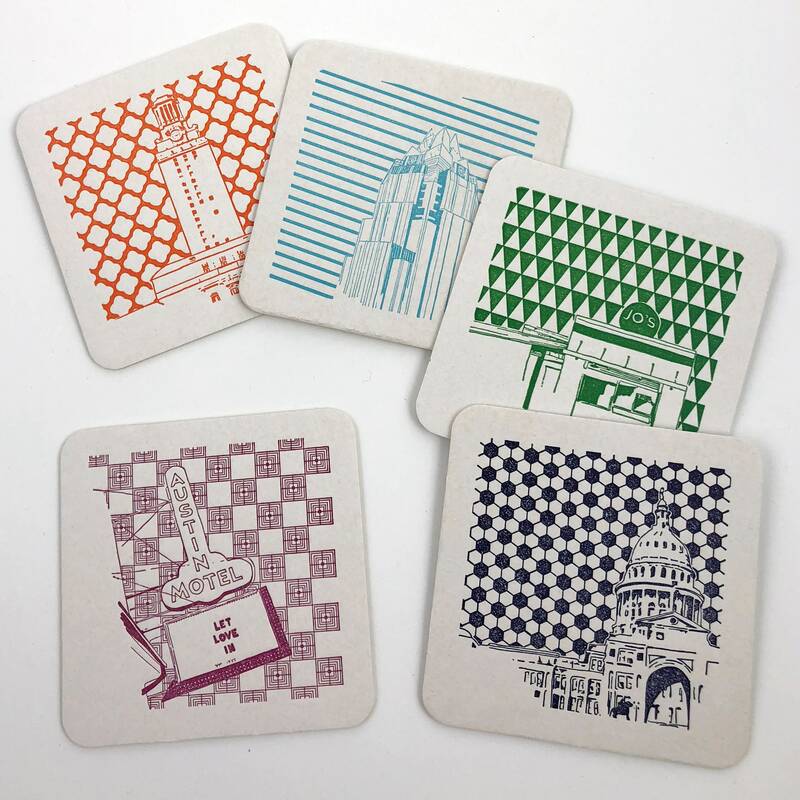 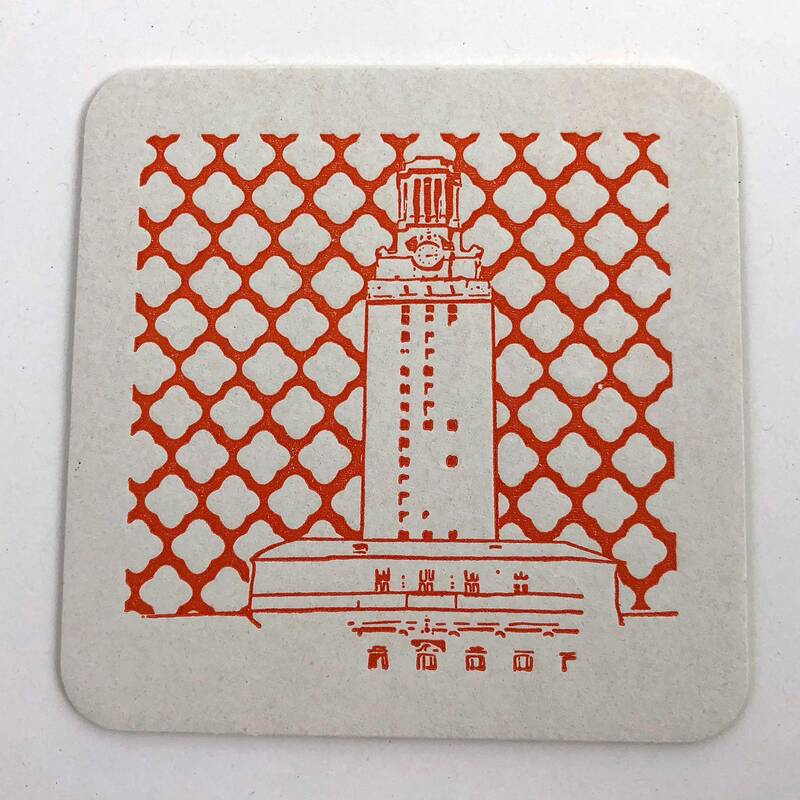 Designs included are Austin Motel, Frost Building, Jo's Coffee, Texas Capitol Building and University of Texas Tower. 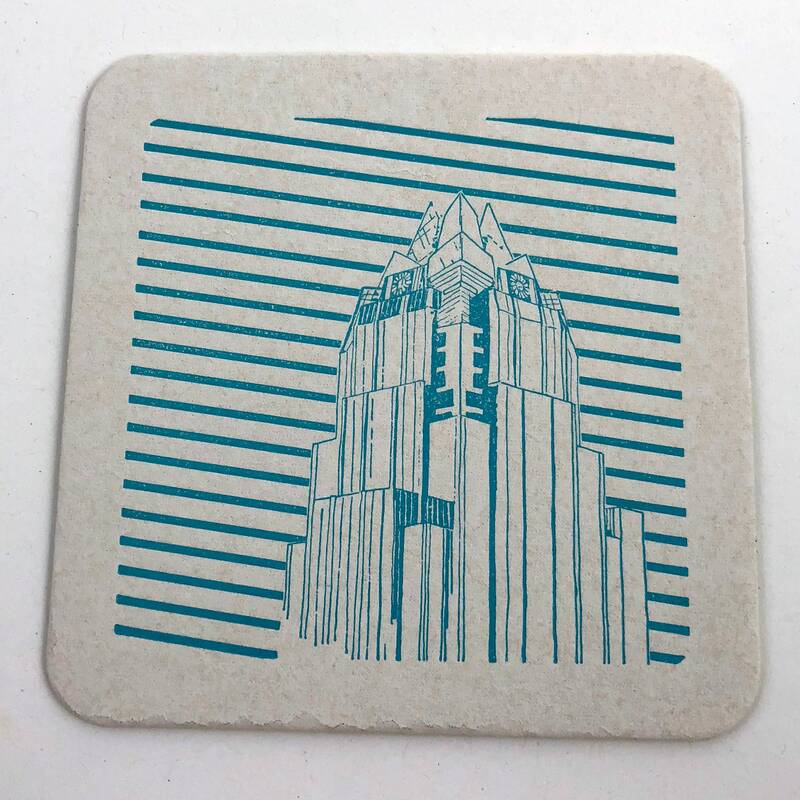 Coasters packaged in a clear box and shipped in a padded envelope.